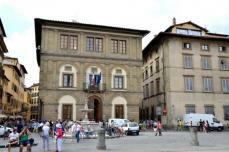 Apartment Florencia is a beautiful rental apartment in Florence which is very perfectly located. Make your way to the apartment that opens up a new world to you! the apartment Florencia is an ideal italian vacation spot that keeps you completely relaxed and comforted. sitting on the third floor of a building that is close to the palazzo santa croce, it guarantees a most memorable stay ever!and the main railway station at Santa Maria Novella, is at a walkable distance from the apartment, making it convenient for international guests to embark on Tuscan tours daily. Guests can also walk across to visit the famous Florence Duomo, Ponte Vecchio, Uffizi Museum and the numerous Exhibition and Fair sites that thrive in Florence city. 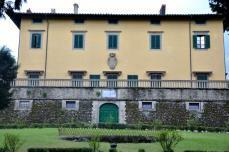 There are several antique shops, craft workshops, cafés and authentic Tuscan restaurants near this vacation home. Very sublime and peaceful, this charming abode for stay surprises you with its stunning medieval building. It is indeed a great bliss to have the whole of Florence on your doorstep the minute you step out of this italy rental! the santa croce church that houses the tomb of famous michelangelo, machiavelli, galileo is all around its corner! in short, your italy holiday mood will just doesn’t get any better than at apartment Florencia. The apartment has facilities to accommodate upto 8 guests on the thrid floor. 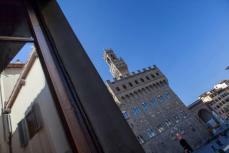 The two large windows of the apartment offers a fantastic view over the splendid jewel city of florence. This large apartment is very well taken care of to bring back its original beauty. At the outset, the apartment welcomes its guest with its spacious living room with Tuscan furnitures and all modern comforts. The living / dining room has a fully equipped kitchen. The living room stairs upto a high ceilinged loft double bedroom. Another door leads to a small sitting room with 2 single beds and again a loft bedroom with a full bathroom. There is another bathroom with shower, wc and washbasin as well. The double sofa bed in the living room sleeps another 2 guests. Make this apartment for rent in Florence your next holiday destination with no further delay! Frank Jun 11, 2013 18:06 I would like to thank you for everything you did for us. As for the apartment it was all we expected and even better, it is perfect for two couples traveling together as each couple have a separate bedroom and bath. The living area was great for morning coffee and to relax each evening and talk about the next day`s plans. The location of the apartment is perfect it is centrally located and near almost all the major sites allowing us to walk to everything. Just around the corner is a Gelato and coffee shop that serves what in my opinion is the best Gelato in Florence and the coffee is also excellent. I want to also thank you for arranging the last minute private Tuscany wine tour for us. We had a wonderful trip. I can`t say enough good things about Florence there is beauty everywhere you look, the people are friendly, and the food was wonderful. I can`t say enough good things about the apartment or the way we were treated by you Sharmila. You were very quick to respond back to all our questions and many emails in the months prior to our arrival and went way beyond what we expected to accommodate our late night arrival mishap. I would recommend Florencia Apartment to anyone who is looking for a great apartment in a wonderful location. I will send you come pictures in a few days. Guy Kemshal-Bell Jun 11, 2013 18:06 Hi Just a quick note We had a fantastic time in Florence, and for us that all started with our brilliant accommodation. Although we had to negotiate a few stairs, we loved the set-up of the apartment, the dÃ�Æ�Ã�Â©cor and arrangement of rooms etc. IÃ�Â¢Ã¢â��Â¬Ã¢â��Â¢d highly recommend the apartment for anyone looking for a well located and very well appointed apartment in Florence. Thanks again for the stay in the Florencia Apartment. Top notch! Suzanne Sennett Jun 11, 2013 18:06 The location was fabulous and Sharmila was terrific to deal with. The location made it more than worthwhile. I could see where it would be terrific to have both Sante Croce 1 & 2 so you could open up the doors between them and get some cross ventilation. I think the thing I would say to "first timer" typical A-type personality Americans - a class in which I place my family - be warned that "early morning in Italy means after 8 a.m. The first 2 days my husband and I were wandering deserted streets at 6 a.m. looking for a cup of coffee! But as we unwound - we "resynchronized" our watches. Florence is a city to wander through at its pace. And we came to love that! We were traveling with our high school and college aged children and were thrilled with how safe we all felt wandering both in groups and on our own. I can`t imagine thinking I will not return! Cindy Speer Jun 11, 2013 18:06 We travelled to Florence for the first time recently for the wedding of our oldest daughter. There were seven in our group and we found that the Florencia Apartment was perfect for our group. It was very spacious and we especially appreciated having three separate sleeping areas and two bathrooms. On our previous trips to Europe, we have stayed in the homes of family and friends, so this was the first time we had to find our own lodging. I will admit I was a little hesitant to book an apartment over the Internet, having just seen pictures and not really knowing the location. However, we were very happy with the choice. The apartment was very clean, the most important aspect for me, but also very charming, comfortable, and well appointed. The location was perfect - close to everything we wanted to see and an easy walk to all major attractions. My daughter (who was getting married) stayed at another very nice hotel, but when she saw the apartment, she said she would definitely consider staying there if she returned. All in all, it was a great holiday. The weather was unseasonably warm, the wedding was fabulous, and the reception in a beautiful castle - it seemed like a fairy tale! I will fondly remember this vacation and hope to return again someday. Barbara Bassett Jun 11, 2013 18:06 I just want to let all of you know how wonderful our stay in Florence was. Florencia Apartment were just perfect.The apartment , lovely, well appointed, comfortable and so well located! St. Croce is such a nice part of the city. We were able to walk anywhere from there. All of you were so helpful as we made our plans. Thank you for looking into someone cooking a meal for us. Sharmila was so sweet to bring us a Poinsettia so that we had some Christmas cheer in the apartment. I will certainly be recommending Florence Villas to all our our friends! Hope the new year is full of health and joy for you all. Ian and Cathy Churcher Jun 11, 2013 18:06 Spacious, adequate privacy for two couples, sleeps up to 11 people in open areas. Kitchen appliances and supplies very good. Excellent location in historic area. Close to everything. Sharmila met us at the apartment even though our plane had been delayed 3 hours. She explained everything clearly and left a number and cell phone in case we needed anything (we didn`t). We stayed 2 weeks and a housekeeper changed the sheets half way through our visit. Florence is expensive so this was a good value, especially when you can share the expense with another couple." We very much enjoyed our stay in Italy and loved the apartment. We had a great time using the apartment as a base to explore Florence, it was good to have a place to store, prepare and cook food, we really enjoyed going to the markets. The location of the apartment was excellent. I enjoyed walking to a local cafe to pick up a morning cappuccino. I also liked Salumeria Verdi for meats, cheeses etc. We would love to stay in the apartment again and would have no hesitation in recommending it to others coming to Florence. Hamish and Cathi Rickett Jun 11, 2013 18:06 We had a wonderful time. We greatly enjoyed staying in Florencia Apartment . It was very convenient to many of the wonderful sites in Florence. We traveled by train and by foot. We did rent a car for a day for a trip to the hill towns which was worthwhile. We would highly recommend staying at Florencia Apartment again. Our best tip would be to visit the nearby outdoor/indoor market for fresh produce, meat and baked goods. Thanks again. Elizabeth Jun 11, 2013 18:06 We really enjoyed our recent stay. The location is absolutely perfect! The apartment was very well-appointed for our needs, and we and the kids were quite comfortable. Please feel free to use me as a reference should you require one for other guests. Corrado Monti Jun 11, 2013 18:06 The apartment was really awesome... and we surely had a great stay in Florence! Thank you very very much for everything! !